I remember the first salad bar I went to when I was a kid. Back then it was a relatively new concept. A person could pick and choose what they wanted. No more having to pick the tomatoes off or having to ask for extra dressing. You get to decide. Today salad bars and buffets are seemingly everywhere. People love them. They present you with a myriad of options. You get to choose exactly what and how much you want. 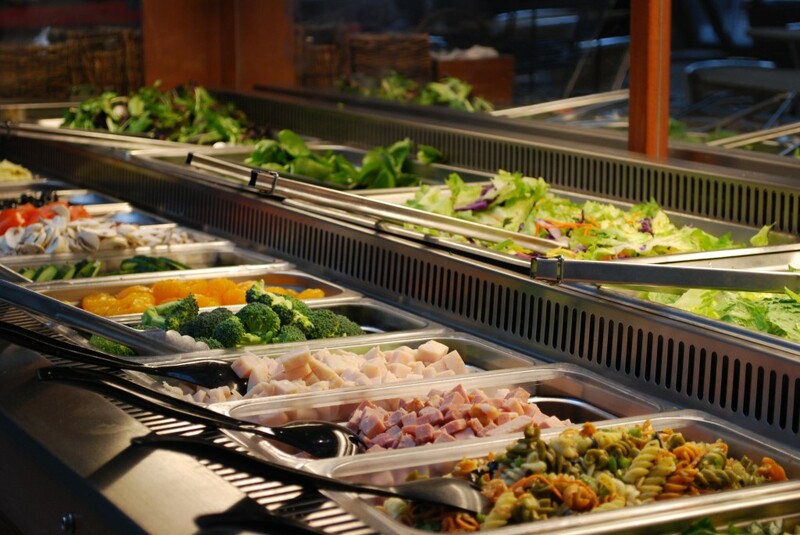 Salad bars and buffets make you the boss. The answer is simple: Salad Bar Christianity. Salad Bar Christianity is a relatively new innovation. In the 18th and 19th centuries, as science and invention bloomed, so did man’s image of himself. Scientists began to say, “God is unnecessary.” Philosophers began to say, “God is dead.” Theologians began to say, “The Bible isn’t completely true.” Humanism – the idea that mankind can achieve whatever it puts its mind to – became the dominant way of thinking. It was the Tower of Babel revisited. Man in his pride no longer needed God. Soon many Christians were being taught that the Bible was an ancient book full of myths and legends. Sure, truths about God could be gleaned from its pages, but first we have to cut out all the myths and legends. As the 19th turned into the 20th century, the optimism of humanism turned into the skepticism of modernism which turned into the relativism of postmodernism. That’s a lot of -isms, but what it means simply is that our world stopped believing in absolute truth. As Pilate skeptically asked Jesus on the first Good Friday, “What is truth?” (John 18:38). For our world, absolute truth doesn’t exist or at least no one can claim to know it. Therefore, each person has to choose for him or herself what is true. What is true for me might not be true for you. Every opinion is just as valid as another. To criticize or judge another person’s philosophy or choice is to be intolerant. The greatest evil in our world today is intolerance. That’s how we got here. Today, if you as a Christian want to believe that all living things came to exist over billions of years through the process of evolution, you can just call Genesis chapters one and two a myth. If you want to say homosexuality is natural and God-pleasing, you can just say those parts of the Bible are outdated and not applicable in our modern, enlightened world. You can really make the Bible say whatever you want it to say. There are a few problems, however, with Salad Bar Christianity. First of all, Salad Bar Christianity means you believe in a God who can’t even get his own story straight. What kind of God would we have if his book of revelation to us is full of errors and outdated ideas? The other, more important problem with Salad Bar Christianity is that it makes you god. That’s its appeal. God is no longer telling you what you need to know. You are telling God what you want to know. You are the boss. You decide. Is the Bible always easy to understand or accept? No. As sinful human beings, we don’t always like what it says. Our modern world definitely doesn’t like what it says. But the Bible isn’t a buffet. It’s not our word. It’s God’s Word. We have no right to change it. In the very last words of the Bible, John cautions us, “I warn everyone who hears the words of the prophecy of this book: If anyone adds anything to them, God will add to him the plagues described in this book. And if anyone takes words away from this book of prophecy, God will take away from him his share in the tree of life and the holy city which are described in this book” (Revelation 22:18,19). Take God’s warning seriously. Salad Bar Christianity is dangerous. You are responsible for the choices you make once you know the Truth and can no longer claim ignorance. More people should be made aware of Revelation 22:18,19. What a valuable article this blog post is! Thank you for your words. You’ve inspired me to write more of my own! This message NEEDS to be heard. Thank you, Jennie! God’s blessings as you seek to share the truth of God’s Word. You have my permission, Juan. God’s blessings to you and your family as well! I usually read the Bible and a couple of devotional books each day, trying to become a better person and to make me more aware of God’s many blessings he has given me. However, much that I read confuses me…and always has since I was a child. A minister told me when I was a teenager that my parents and stepparents will go to hell because of their divorces/remarriages. I’ve been told slavery is condoned by the Bible. I read that we should give anyone who asks much, much more than the person could possibly expect. My understanding is that killing is wrong, yet many (most?) people seem to believe in the death penalty. And on it goes. Actually, my reason for looking at your website was that I often enjoy your columns in the Victoria Advocate. I appreciated your comments about respect for our president (and, therefore, our governor, our mayor, our teachers, our leaders in whatever form they take). I abhor how many people feel that there is only one way to think about everything and if another person disagrees then he becomes an enemy. But then that spirals into your post about only one way of understanding the Bible….so, do you see my confusion? Robin, I do see your confusion which I think many also share. You bring up important questions and concerns. Sadly, I don’t think I could answer them adequately in a comment here on my blog. I’m going to send you an e-mail and maybe we can talk about these issues more in depth. God bless you as you continue to chew on and grow in God’s Word. Andy, God’s word is certainly true in and of itself, as well as the fact that it reveals Jesus, the Word of God who alone can say, “I am…the truth”! The true word of God holds, cradles, and reveals the true Word of God.